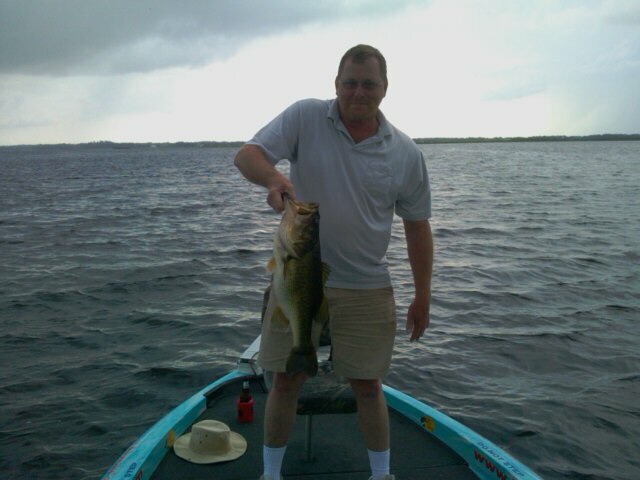 Yee-hah, yippie cayay -Â the first two hours of bass fishing on an overcast Tuesday (May 25, 2010) with Captain John Leech. 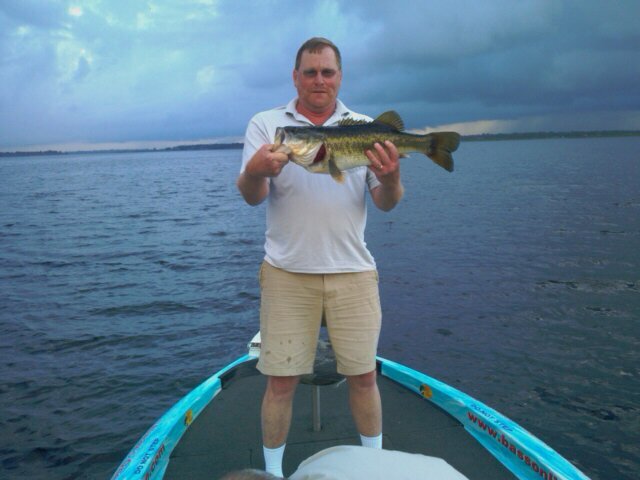 We yielded no less than four 9+ pound largies along with assorted pickerel, gar and smaller bass. The first lunker seemingly got away from Bruce then suddenly Ralph had his rod bending big-time…Ralph brought it in(his first freshwater bass ever!) and itÂ turns out t was lassoed around the gills…no hook whatsoever! A good laugh and a great time with Captain John. 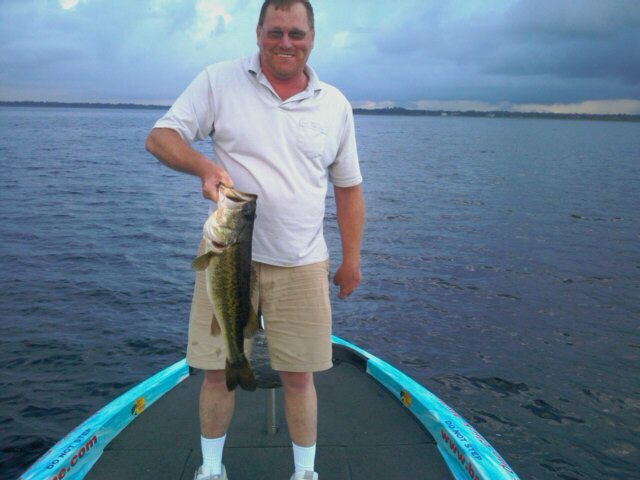 Largemouth bass fishing in Central Florida.